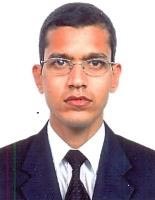 By qualification, RG (Raja Ganapathi) is one of the highly qualified pros in the country with suffixes reading B Com, ACA, ACMA, ACS, BL &amp; MBA and all through first sitting with all India ranks in every level. He also had the opportunity to be part of some of the growth stories in India where he joined the companies at the initial stage and grew with them when they grew manifold as a giant corporate enterprise. That early experience provided him with a clear focus on the chosen path with only looking growth as the sole target but without compromising the fundamentals and building the pillars for the sustainable strong growth with balanced approach. 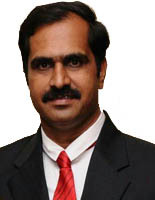 After first 2 years CA internship, RG began his corporate career during the final year of CA itself as Industrial Trainee in Thiru Arooran Sugars Ltd and later started his career with Satyam Computers, Hyderabad as a CA fresher as an Executive Trainee; grew ahead of time to become Chief Financial Officer for a large enterprise in short term. Over and above this, he grew up to Chief Legal Officer, Company Secretary and Compliance Officer within his domain and was in charge of cross domains as well as Head of HR, Facilities, Corporate Planning, Communication as and when needed. His stints at Ascendas, e4e, W S Industries and India Property helped him to groom his career with multi faced personalities seeing the full corporate life cycle and connecting all the ends from Promoter to Investor, Customer to Supplier, Employees to External stake holders like Auditors, Banks to Statutory Authorities etc. By virtue of his versatility, having worked in variety of industries in Manufacturing, IT products, IT services, ITES BPO, Real Estate, Private Equity/Venture Capital, Media &amp; Publishing and the hot E Commerce in his last venture; RG is quick and fast in understanding the requirements of the deliverables first and immediately sites solutions for it for any challenging assignment. RG was one of the pioneers in ProKorp and was instrumental in combining the front end services arm in Chartered Accountants, Cost Accountants, Company Secretaries, Advocates, Management Consultants and the back end Payroll, Accounts, Compliances BPO as the model for the company to adopt. With every one of the Promoters already doing reasonably well in their existing domain, RG also is running R G Associates, a LLP network of all the muti disciplinary professions and also take care of ProKorp for the carrying of journey to the next level. Some of the jobs handled by ProKorp in Fund Raising, Compliance, SOPs, the foreign relationships are spearheaded by him. RG also is a speaker in many forums and seminars across the industrial bodies and institutes and delivers lecture on various topics including Start-ups, eCom, Nurturing of Business, M&A, Business Reorganisation & Integration etc. He also is a Faculty and Examiner in all the Institutes and some private academies and also has published a book ‘Direct Taxes – a simple Guide’ for CA final students. 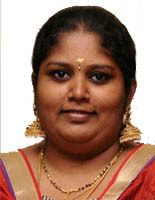 Ms Sathiya A is one of the Director of Prokorp Management Consultants. After completing het MSIT she has been with Prokorp Management Consultants from January 2014. She is the focussing on Recruitment and Training Process. She is well versed in accounting and payroll Process she manages more than 200 employees database and payroll process.